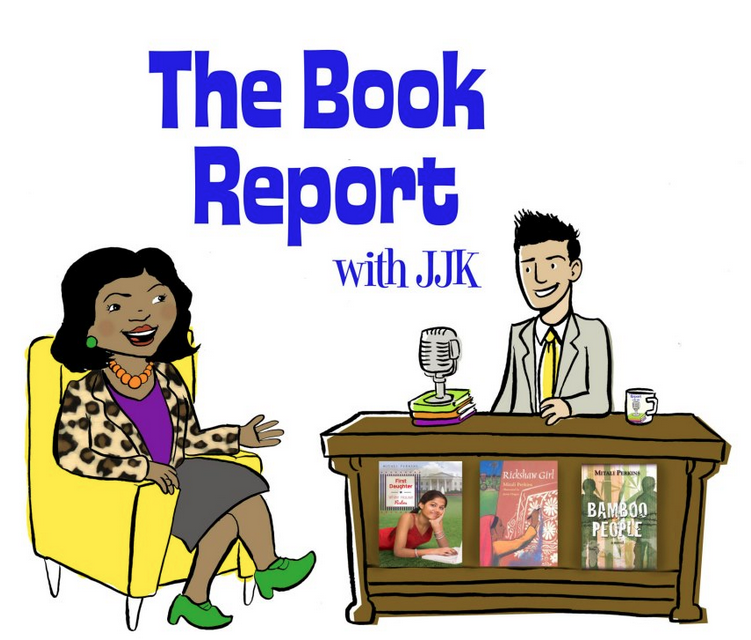 AuthorMitaliPerkins: On The Radio With Jarrett J. Krosoczka! On The Radio With Jarrett J. Krosoczka! I'm on The Book Report with JJK at SIRIUS XM'S KiDS Place LiVE this Thursday 9/27 at 5:40 p.m. ET / 2:40 p.m. PT. And in real life as in the cartoon he drew below, my head IS twice as wide as Jarrett's! Now I have to get a pair of green pumps and an orange necklace.